"Rather… there is a high possibility that Core 666 has the Dummy Core." I don't know how she's carrying the Dummy Core. However, looking at what's going on in Team Demon King's dungeon, that's almost definitely what it is. There aren't any more traps or monsters appearing, nor are any of the walls or doors being repaired. It's basically like it's dead as a dungeon. Wouldn't it collapse if something happened? The suspense is real. "Yeah. For example, let's assume that Core 666 is inside that Black Armor and that she's about as tall as Meat. If that's the case, couldn't they put it inside it somewhere?" The size of a Dummy Core is the same as the Dungeon Core. That is, the size of a large basketball. By the say, I'm told that Haku-san's cores are a ton larger, so there are differences between them. … The size of the armor's head is a bit too small, so if we assume that Core 666's true body isn't tiny, it's probably somewhere in the torso. Still though, is it okay for the Dummy Core to not be inside of their dungeon? There’s nothing I can say about it though, the referee, [Father], isn’t saying anything about it. The concept itself isn’t bad. If Core 666 is a peerless warrior able to repel any adversity, it’s a superb move. If she could keep using no risk no cost techniques like that unreasonable [Crimson Road], she’d be unbeatable. It’d turn into a one-sided stompfest. However, the reality is that she’s now slugging it out with the monster group and is rampaging among them. It doesn’t look like she’s tired, but it also doesn’t look like she’s strong enough to be considered unbeatable. In other words, it would collapse because it doesn’t have a core, and even if it didn’t, it wouldn’t be considered a dungeon anymore and the dungeon’s domain would have to be built up all over again. With it requiring 5,000 DP for assigning a single floor, that’s a pretty big disadvantage. The magical power filling the inside of a dungeon is a kind of food for monsters. It’s no wonder why they’d die without their food. Conversely, if proper ecosystems were established, they could revert to normal monsters and become wild. She said she’s seen several examples of it happening… as expected of Haku-san, a person who has destroyed several Dungeon Cores. Summon-types disappear when the summoner disappears, and creation-types stay behind with the orders they were given. 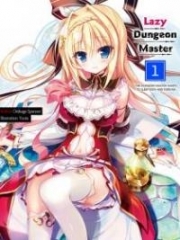 Thinking about what happens after the Dungeon Core is destroyed, creation-types are excellent, but even so, that’s given the assumption that the person would be dead, so for Haku-san, that bonus doesn’t matter to her evaluations. For example, the inn would continue on even after I die, but I wouldn’t be there. It could only be used as something to give as an asset to descendants. —Ummm, I wound up listening to Haku-san’s story for quite a while there, but I don’t care about stuff like that right now. The most important thing right now is destroying that Core 666… err, accidentally destroying her… err, defeating her. Pretenses are important. It’ll definitely just be an unfortunate accident that happened in this Dungeon Battle because I was striving to beat her. Let’s check out the situation. When I looked at the map, for enemies, there was just a single Living Armor left in the Monster House I prepared. As for the Skeletons that had been surrounding it, they were long since annihilated. Tentacle Slime-san had turned them all into bone meal. After all, even with him being able to operate them well, that Zack couldn’t do anything against the physical annulment with Skeletons. However, Core 666 is holding a fire magic sword. It had taken a lot of hits from Core 666 while it was dealing with the Skeletons, so many of its tentacles were severed and it was covered with wounds. Ah, c.r.a.p. I just named it, didn’t I? When I looked to make sure, [Ten] was registered on the named monster list. Tehee. Well, adding one more after all this time should be alright. It’s been the most active one after all. Ten-san drew back to recover its viscous mass that had been damaged by Core 666. The Ten-san juices we stocked up on to recover it with were effective. Just pushing them into the slime’s body was even more effective than using a potion. Gargoyles continued attacking with magic to plug up the hole left over from Ten-san’s withdrawal. They were using [Stone Bolt], carpet bombing her and leaving no gaps. The stone projectiles are banging against the Black Armor… but it’s not doing anything! She’s way too hard! This is bad. The hole left by Ten-san is too big. I gave directions to the Sahagin Corps. Then, I took out iron chains with weights at the ends. A few—no, dozens of them. I bought them with DP a bit ago. If we can’t beat her, we’ll restrain her. Yep. Although their quality is overwhelmingly better, we win in numbers. In that case, I will absolutely make use of it. They could be cut through with iron, but there’s so many that [that fire magic sword can’t cut through them all]. And so, the Sahagins all threw their weighted chains simultaneously. Several of them were repelled, but being unable to handle the sheer number of chains coming at it, the Black Armor was unable to move after being caught by them… good, we’ve sealed its movements! The Black Armor, unable to move, collapsed. —Standing out against her surroundings, a pretty girl with red hair appeared.